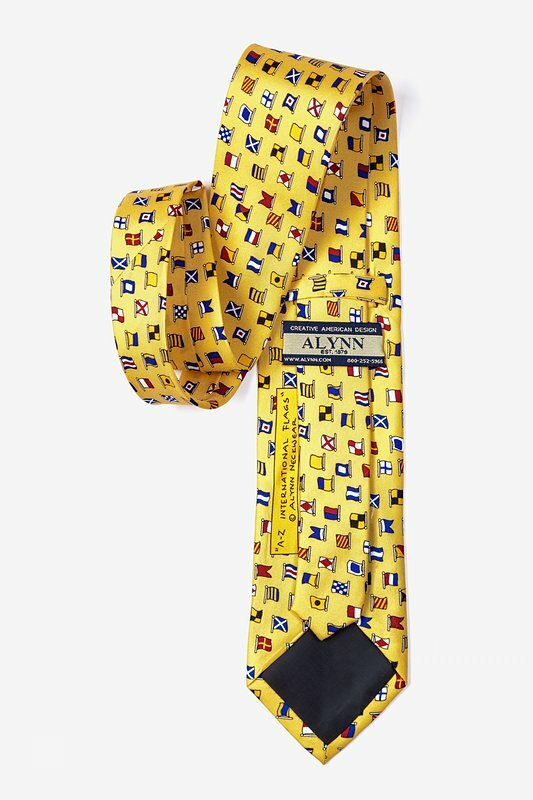 The A-Z International Flags tie, perfect for the world traveler, showcases flags from around the world, leaving you dreaming of your fond memories of past travels. T... read more The A-Z International Flags tie, perfect for the world traveler, showcases flags from around the world, leaving you dreaming of your fond memories of past travels. 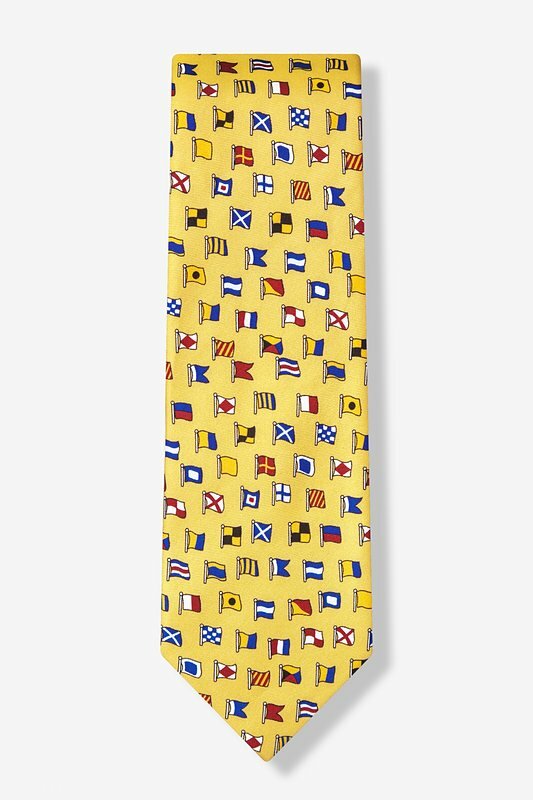 This unique 100% silk necktie features flags of the world on a sophisticated yellow background. 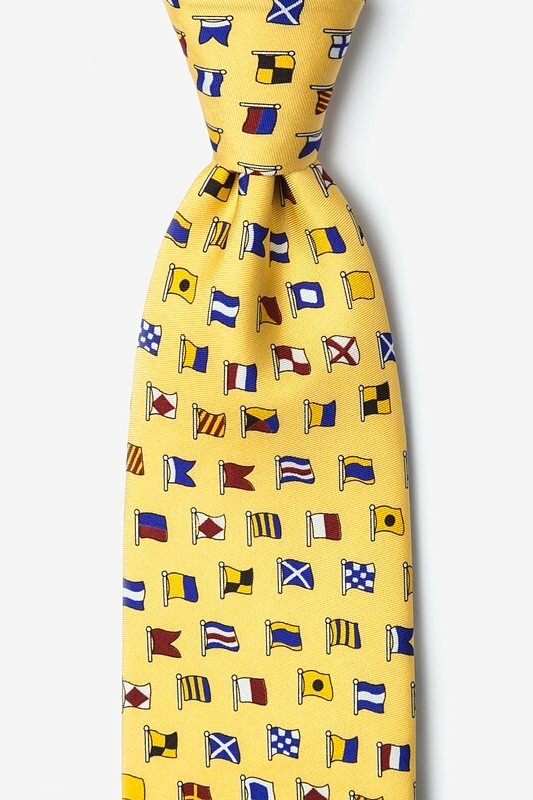 This tie may even inspire a new excursion in your near future.